Daiana Querino Nogueira, 28, and Wanderson Venancio, 22, met in September 2013. They were friends and worked together. In February of this year and at his insistence, as she likes to tell, they started dating. It was he who proposed marriage and she accepted, of course. She was visibly in love. You know those people who are so happy that let it show in any daily activity? That's it. She spends the day laughing, because of everything , but mainly because of lucky to have found someone who could love her so much. 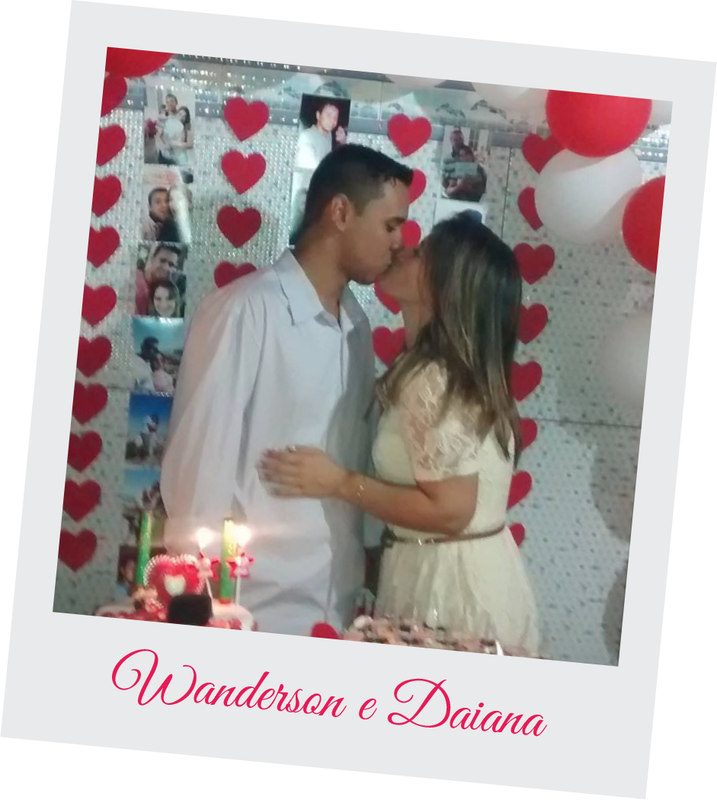 According to them, there was no reason not to get married, Wanderson and Daiana could no longer live apart and could not live without each other. The first step to traditional marriage, after the decision of the bride and groom, is asking the bride's hand in marriage to her father. Daiana 's father, whom she refers to as her first love, died a few years ago, but they still have not given up the idea of marriage proposal and blessing. The bride and groom met with the the uncle and also bride godfather so that he represented his father in this situation. Uncle, despite trying to hide, also very moved, granted the hand of little bride to the bridegroom, though he made ​​sure to report all wedding risks to the two lovers. But it was not just him. According to the couple, everyone has something to talk about marriage among young people, such as critical or warning . Anyway, they are not sad to receive this advice, they say that the outsider will hardly understand their love and therefore can not accept that they marry so soon. For the couple, it is the right time, is their moment. Daiana says that everything is in God's time and there was no point eager to marry and then realize that it was time wasted, as her happiness was already at her side from the beginning. The time, so crucial, does not seem to pass and other times seeming to fly for the young couple . The preparations for the party and the ceremony stress the bride and groom, but every day reveals new discoveries and reaffirms the love of two lovers . The engagement party was held at boyfriend 's birthday, October 7. The wedding rings were exchanged and words of love and loyalty were made. Now they are counting down to the best day of their lives. The wedding will take place in May, known as the month of brides, under the eyes of relatives and friends who want to eternal happiness for the young couple.